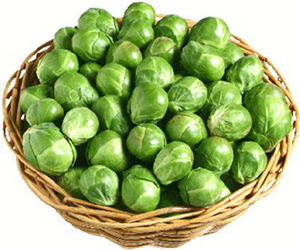 Christmas dinner anyone?? I love a juicy turkey with all the trimmings but if you’ve got your family coming around for Christmas lunch that turkey ends up being pretty big. The last thing you want on Christmas day, (when your chiropractor is at home enjoying their own Christmas dinner), is to put your back out lifting the turkey into or out of the oven. So here are some good lifting and bending tips to make sure lifting of that giant turkey doesn’t spoil your dinner!! The first tip for bending is to bend in a way that is called the ‘hip hinge’ – this pattern of movement ensures that you don’t add extra stresses to your lower back, this is always a good way to bend especially when you are lifting a heavy weight. Practice doing the hip hinge correctly with a broom or mop, if the pole stays against your head, mid back and bottom as you bend then you have the movement pattern correct, the aim is to bend at the hips and not in your lower back. For a deeper bend that wont stress your lower back, when you come back to standing make sure you push up using your thighs and bottom muscles, as this will protect your back. This is a safe bending technique to use when lifting and to help your body get used to a different movement pattern it is a good idea to practice the movement at other times so that when it is important you are more used to doing it. A squat exercise is a good way to practice this movement pattern, whilst strengthening your thighs and bottom muscles at the same time. That's the bending sorted, now for the lifting. When you lift a heavy weight you need to fix your shoulder blades back onto your rib cage to ensure you use the big muscles in your back for strength rather than the small muscles at the top of the shoulders, this simple technique should keep you injury free. For more movement and strengthening exercises visit our Facebook page where we have photos and information about how to do the exercises. Sasha and I met for a cup of herbal tea and a chat at the clinic on a Wednesday afternoon. Sasha was a little woozy due to jet-lag following a week away in Las Vegas and had a treatment with Octagon clinic Chiropractor Rachel Hodson before our interview. Not generally a city associated with healthy living Sasha had gone to the city for an international Pilates conference, adding further knowledge to her 13 years of theory and practice within the field. 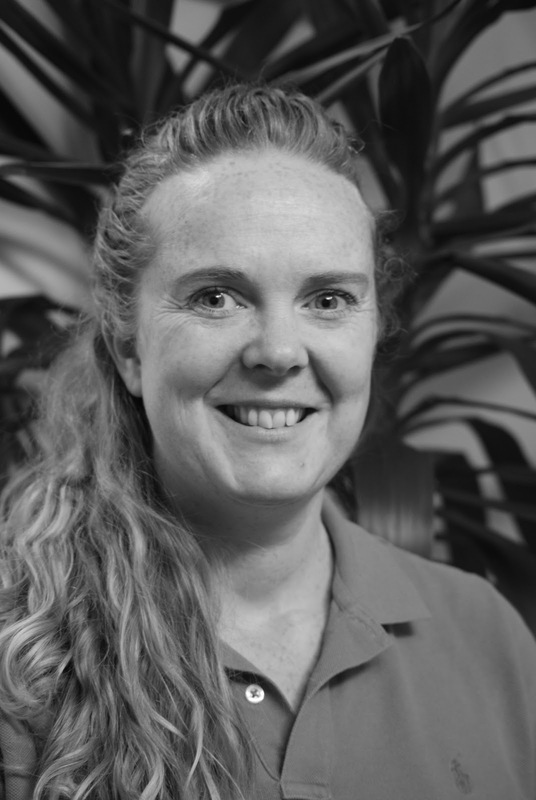 Sasha has been a patient and friend of the staff at the Octagon for 4 years and it was a delight to talk to her about a practice and profession she is so clearly enthused about. The interview culminated in me signing up to a weekly Pilates class at Sasha’s studio Precision Pilates, located in a lovely area of Chiswick, a few minutes walk from Turnham Green underground, through Acton Park. Since the interview I have enjoyed two Pilates classes with one of Sasha’s students Andrea, whom she is in the second year of training through the Pilates Foundation. Although the outer thigh series proved a challenge to the gluteal region, I came away from the class feeling refreshed and calm and, although after just two classes I might be imagining it, feeling more toned too! 1. Hi Sasha, what is Pilates and what benefit does the practice have? The Pilates Method of Rehabilitation and Exercise Fitness maximizes muscle strength and flexibility using safe, low-impact techniques. Ideal for everyone, the Method can play an important role for those requiring remedial therapy or with restricted access to 'traditional' exercise. Pilates' fundamentals derive from a thorough understanding of human anatomy which the teacher applies to create a comprehensive exercise programme. This is tailored to the client to achieve a greater sense of physical balance and control. It is this holistic approach that sets the method apart from many other forms of exercise. Osteopaths, Physiotherapists, Chiropractors and General Practitioners recommend Pilates as one of the safest forms of exercise. 2. So who is Pilates suitable for and is it OK for pregnant women to practice? My clients are all shapes and sizes and differing levels of movement awareness. My client base ranges from a fifteen year old with scoliosis, to elite level dance students at the Royal Ballet School to an eighty-five year old client. I also teach pre and post-natal women as well as post-surgical patients in rehabilitation. From Commonwealth level rowers, to office workers sitting at their desks all day and everyone in between. Importantly Pilates exercises can be incorporated into a rehab programme, a programme that might include your surgical team, Chiropractor, as well as your Pilates teacher, all helping you to get back to full functioning healthy movement. 3. Why is Pilates a particularly good form of exercise for dancers? And athletes? Pilates works the whole body not just focussing on major muscle groups but also the smaller joint-stabilising muscles. 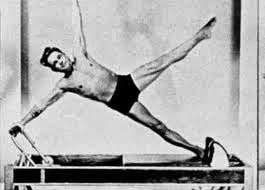 The founder, Joseph Pilates, created his excercises during the Industrial Revolution having observed the unbalancing effects of repetitive movement. Dance rehearsal is by its nature repetitive, and Pilates can rebalance muscle development. Golfers, rowers and swimmers can similarly benefit from Pilates. 4. What is the purpose of using a machine in a Pilates class? Pilates apparatus provides support and resistance. An initial approach to Pilates uses floor-based mat work to offer an understanding of awareness of ones body and self. Apparatus provides further challenge in the refinement of movement and is target specific on the musculature. 5. Pilates is sometimes described as being good for “the bodies core”, is this correct and what exactly is meant by ‘core’? The phrase ‘core stability’ has a real buzz around it at the moment from a research paper published a number of years ago in Australia. The paper researched chronic lower back pain and the affect on the ‘core’ abdominal muscles. This has since been taken perhaps out of context to sometimes a detrimental effect. My understanding and utilization of the term is somewhat different to others’. I believe that the ‘core’ is a three-dimensional whole body muscular structure, starting at the feet and assisting in suspension of the spine allowing it to float within our body. I think that the Pilates concept of ‘centring’ is a far more useful term. It is my personal feeling that people often concentrate on the abdominals only, leaving out other integrated connections and movement planes and directions. This can, over time and incorrect reinforcement, understanding and training actually lead to rigidity and further onto spinal complaints and pathologies. 6. Does Pilates improve flexibility? Yes! It’s more about a strength-flexibility combination, getting a balance between developing a body with short/bulky/powerful muscles and one that is long/loose and overly mobile, rather than too much of either, Pilates aims to help you achieve a balanced body between those two extremes. 7. Is Pilates helpful for those with low-back pain? Care needs to be taken in the short-term and acute pain requires treatment for pain-management but once clearance to exercise has been given by a qualified practitioner Pilates can be useful for working on musco-skeletal development and spinal support. 8. Like yoga, is Pilates beneficial for those at risk from, or with osteoporosis? Yes. Low-impact weight-bearing exercise has been shown to be a good preventative measure for those at risk from osteoporosis and osteoporotic changes. You have to be careful with clients who have been diagnosed but I do work with several clients with osteoporosis. 9. r werng upper-body bone density as well as what you might expectut once clearance to excerise haHow many times a week should you practice Pilates? Joseph Pilates said that practicing four times a week for three months was required to make a difference. I will often send my clients home with self-practice homework, the ones that actually do it tend to be the ones in pain and those eager to assist in self pain relief. On average my clients practice one to three times a week for an hour to hour and a half. 10. Is it advisable to learn Pilates from a DVD or a book? I would say if you are using a book or DVD for this to be a supplement to your work with a teacher. If travelling this might be a good way to maintain your Pilates practice, with more digital media now available, as now there are several podcasts and subscriptions available. Significantly as a teacher myself I still take classes with other teachers. Working on your own you can end up doing the exercises you like best, or find easiest and missing out others. But I do understand with austerity measures that doing some work from home might be necessary and I’d rather people were exercising than not, with the kind of sedentary life that a lot of people lead. 11. As a patient at the Octagon Clinic do you see a relationship between Pilates and Chiropractic treatment? One hundred per cent! As a dancer and viewing my own body as a ‘tool’ if something isn’t right seeking treatment is key. Coming to the Octagon has benefited me in a lot of ways, particularly by helping address long-standing imbalances in my own body. Referrals go both ways between the studio and the clinic. With client permission I’ll speak to Rachel, Hazel or Steve about a client’s condition, or even request a scan of an existing x-ray to benefit the client’s exercise programme. Treatment patterns and paths definitely over-lap. 12. So what is your own background, why did you get into the practice originally? Originally from Sydney Australia, I got started with my Pilates practice as a dance student there. I came to London to continue my dance training and graduated from Brunel University, Rambert School and became a qualified Pilates teacher, gaining a distinction from the Pilates Foundation in 1999. Having studied The Pilates Method for several years and after successfully rehabilitating a dance injury through Pilates, I decided to train to teach. I brought to my training an understanding of movement through different dance disciplines. I have a reputation of precision and accuracy in refinement of movement for professional dancers, athletes and rehabilitating clientele. I am known for being tenacious and enthusiastic with my clients’ development. I promote self-accountability in health and fitness and I never tire of the awareness and excellence a Pilates studio brings the individual. After running the Pilates Foundation Workshop Committee I was invited to sit on the Pilates Foundation Board from 2009-2011. I fully endorse the organisations’ aim to uphold the highest standards of teaching and teacher training in the Pilates Method. After gaining a PGCE (Stage One) I went onto to train teachers. To date I have assisted in the training of 12 Pilates Practitioners with a 100% successful pass rate with the Pilates Foundation.